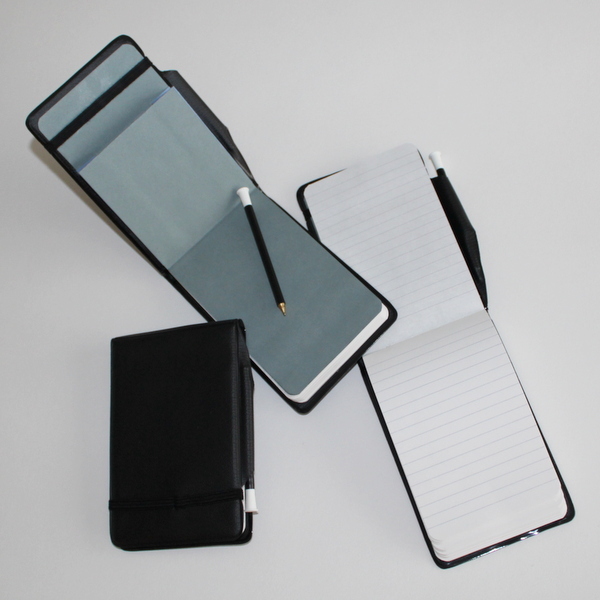 This black PVC Covered, 80 leaf notebook comes with its own pen housed in a small pocket on the case. Measuring 98mm x 130mm, the notebook in its cover has a useful pocket for business or credit card sized items. The PVC cover has an elastic band to keep the book shut or ready to open at at a selected page, it is ruled with 6mm Narrow Feint.